Below, you will find a resume example for a college student with experience as Student Counselor Assistant through an internship. 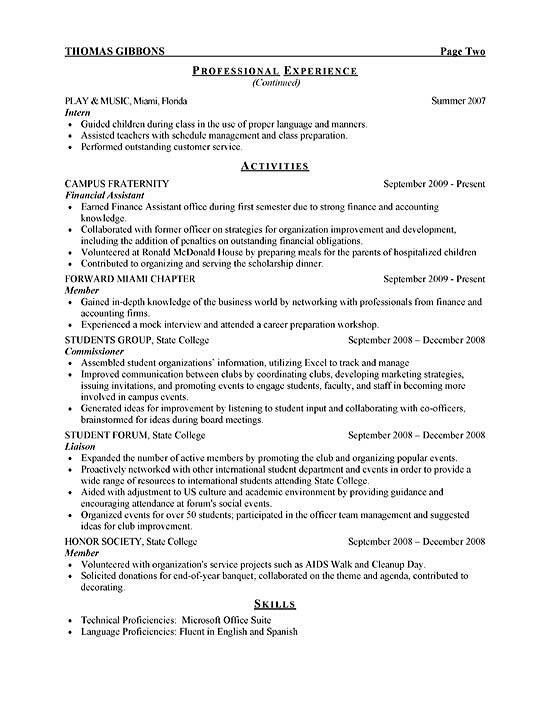 This is a great resume to use as a resource if you have internship experience. 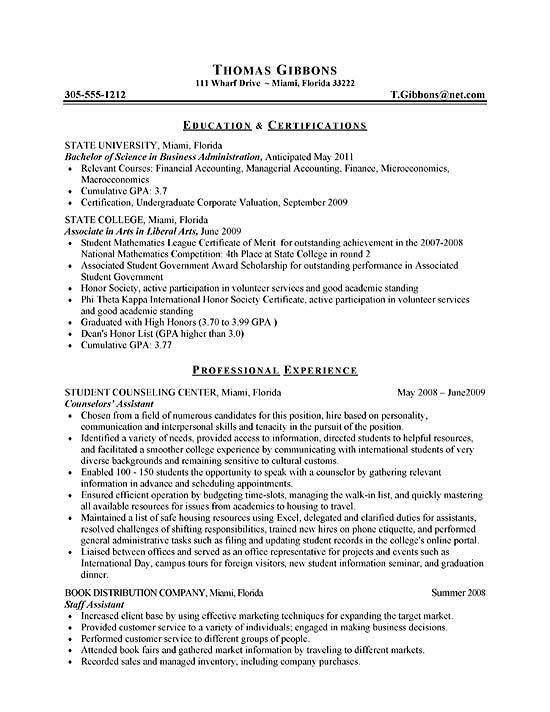 Common for a student resume, the document opens with the Education section at the top. This works well for the job seeker as they are in the process of receiving a Bachelor of Science in Business Administration. This individual already possess an Associates degree. They also emphasize a high GPA, honors, dean’s list, certifications and social clubs. The experience section outlines the internship experience along with other positions. The writer outlines qualifications that include counseling, communications, business administration, advising, organization, marketing and mathematics. The resume ends with a list of activities and details regarding responsibilities and accomplishments within a fraternity, student groups and honor society.